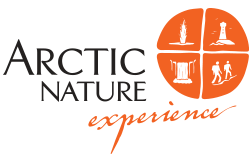 At Arctic Nature Experience we offer a wide variety of tours for birdwatching in Northeast Iceland. Myvatn – a paradise for birdwatchers. can be made there, as late as the night before. One can expect to see up to 60 different species of birds on these trips. We also offer longer trips, along the Birding Trail of Northeast Iceland, the Birding Capital of Iceland that last for 3, 5 or 8 days. bus sightseeing tours and/or hiking tours.